After a successful season placing fourth in the year-end standings at Sunset Speedway, Ron Quesnelle and KDR Motorsports will be back full-time in the Sauble Falls Tent and Trailer Park Late Model division. The KDR Motorsports’ team was able to have a successful 2018, with Quesnelle scoring 13 top-five’s and 20 top-10’s. Now moving forward into this year, the driver says it’ll be critical for them to improve their qualifying effort each week. With the hard work that the crew has put in through the winter, combined with a couple podiums last year, it is very possible that the KDR Motorsports team could be celebrating a victory early in the season. “It’d be a huge accomplishment compared to where we were two years ago,” he said. “Our first season we were seventh in points and we came out last year hoping to do better and we were fourth in points. So we’ve come a long way in one season, but a lot of was helped with Paul (Geniole Jr) as he helped us with our line. That was huge. “I know I keep saying how much that is worth – but you could have a real good car, and that was about getting comfortable in the car and the line on the track. It’s a tricky place to go around. I’m starting to get the hang of it, but still have a little work to do to catch Gord (Shepherd) and those guys. Although the team has been consistently improving, it won’t be an easy task reaching victory lane as they will be facing one of the strongest Late Model rosters in 2019. “It’s great for the sport,” he said. “I hope everybody can continue with the cost of the season, as it’s going to be really expensive to run the full season. Hopefully guys don’t get into a lot of trouble or accidents, because it could end a lot of seasons for a bunch of smaller teams. The KDR Motorsports team is proud to receive marketing support for the 2019 campaign from Hassell’s Automotive Sales & Service, Triplecrete Limited, Fierce Wraps, D&S Auto Collision, Forterra Pipe & Precast, Emco Waterworks, and Sandbox Tech Child Care. 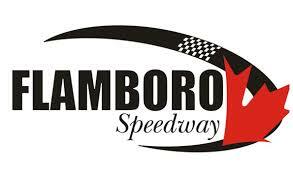 The first night of the 2019 season is scheduled for April 27, with Sunset Speedway’s Super Stocks and Mini Stocks joining the Late Models that night. The full schedule can be viewed at http://www.sunsetspeedway.ca.